One of the country’s most eminent practitioners of the art and science of negotiation offers practical advice for the most challenging conflicts — when you are facing an adversary you don’t trust, who may harm you, or whom you may even feel is evil. The Devil is in the details, as they say, and when you are negotiating those details with a nefarious adversary and you want to reach a satisfying conclusion, you’re going to need some important skills. 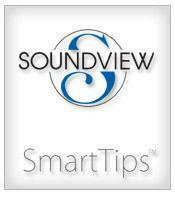 One man who has mastered those skills is the head of Harvard’s Program on Negotiation, Robert Mnookin. Over the years, Mnookin has created a stellar reputation for himself as a renowned dispute settler while working as a professor at Harvard Law School and Stanford Law School; a commercial mediator, trainer and consultant; and an author of many books, including Beyond Winning and Barriers to Conflict Resolution. 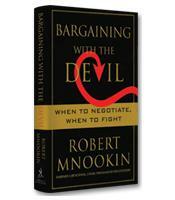 In Bargaining with the Devil, Mnookin offers readers a set of tools they can use to make better decisions when faced with difficult conflicts. He illustrates these tools with stories from some of the toughest decisions ever made, such as Winston Churchill’s refusal to negotiate with Adolf Hitler in May 1940 and Nelson Mandela’s choice to initiate negotiations with the South African apartheid government that had imprisoned him for 27 years. While looking into these types of decisions and evaluating a variety of contentious disputes, Mnookin ventures into the emotions, strategies and traps that can come into play while two sides battle for resolution. One lesson that Mnookin offers is that you don’t always have to negotiate, although you probably should “more often than you feel like it.” One strategy that can help you decide whether to choose negotiation over fighting is to clear your head of the strong emotions that are driving you to fight. In other words, get past the negative traps and biases that can cloud your thinking before you proceed. Mnookin also writes that when he is faced with a decision that forces him to choose between a “principled” choice and a “pragmatic” choice, he favors pragmatism, even though this choice can sometimes be “a bitter pill to swallow” because it often conflicts with one’s personal honor and integrity. After looking at dozens of conflicts and negotiations throughout history between individuals, organizations, leaders and nations, Mnookin offers a set of general guidelines that can be used when face to face with the Devil himself. 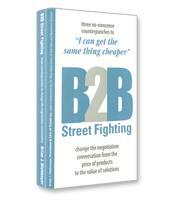 First on Mnookin’s list is the advice to “systematically compare the expected costs and benefits” of every fight. He reminds us that this type of basic analysis can often get lost when our emotions are raging and we feel like we’ve been deeply wronged. Mnookin explains that by looking closely at the interests of both parties, alternatives to negotiation, the costs of negotiations, potential agreements and the likelihood of a deal’s implementation, we are more likely to reach a satisfying conclusion than if we fly off the handle and rely solely on our intuition or moral claims. Other tips from Mnookin: Get advice from others, presume in favor of negotiation and don’t let your moral intuition get in the way of a pragmatic assessment when you are making decisions for others. Wise guidelines such as these — backed up by many stories showing us that we are not the first to square off with the Devil — provide a valuable tool kit for making better decisions and avoiding regrets.